Have you already started planning the summer holidays? A cruise, a boat travel or a beach holiday? Do not forget to take your life jacket with you! The lifejackets can save lives and now look pretty. LIFE JACKET – WHICH SHOULD I SELECT? 50 Newton Class / EN 393 / EN ISO 12402-5: Buoyancy aids and floatation clothing that hold a person afloat with a greater safety margin. Must be used by swimmers only as they do not help you onto a safe back position in the water. For persons 25kg and over. 100 Newton Class / EN 395 / EN ISO 12402-4: Inherent foam lifejackets with the buoyancy concentrated to the front and collar to help a person turn over onto the safe back position. Suitable for swimmers and non-swimmers. 150 Newton Class / EN 396 / EN ISO 12402-3: Inflatable lifejackets with good turning capacity when inflated. Can be inflated manually or automatically. For persons 40 kg and over. 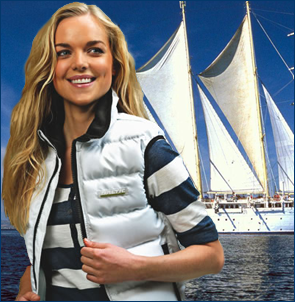 275 Newton Class: Inflatable lifejackets with extremely good turning capacity. For industrial use only. Manual or Automatic inflation. For persons 40 kg and over.